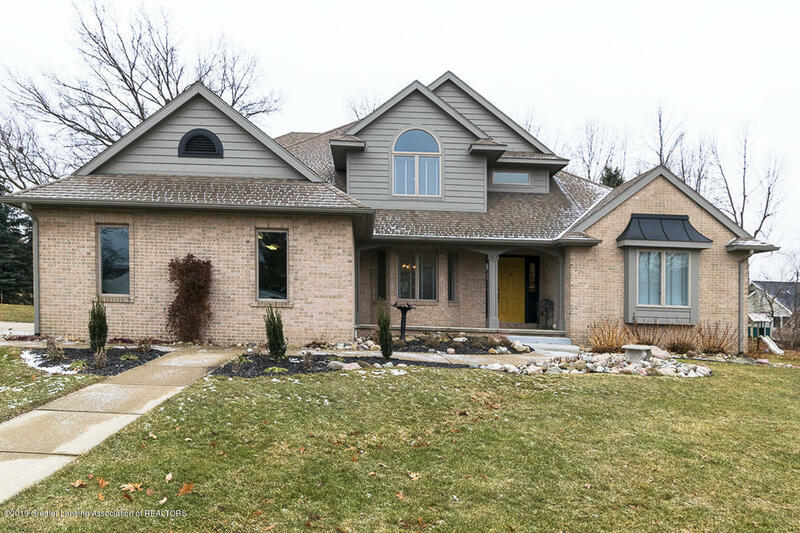 Wonderful opportunity to own this tastefully updated 4/5 bedroom, 3.5 bath, 4800 sq ft on three levels,home in beautiful Springbrook Lakes subdivision! Enter into the grand foyer with soaring ceiling leading to a cathedral ceiling great room with full window wall, double sided gas burning fireplace, fresh paint and neutral carpeting. The first floor features a large granite island kitchen with hearth area, abundant storage, new French door stainless steel refrigerator, gas cooktop, double wall oven, large garden window and new doors leading to the newly stamped concrete patio with wrought iron fencing and koi pond!